Quick delivery and exactly what l needed. The battery was needed for my house alarm system. Excellent little battery. Perfect size and does a great job of powering a light that lights a stable. Definitely buy again! Brilliant a great buy and a fast delivery. thanks!! Perfect replacement for the batteries in my APC RS800 UPS. 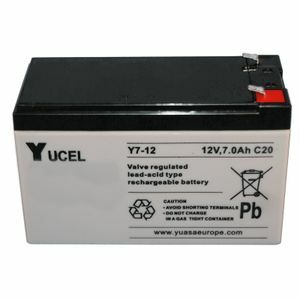 Yuasa batteries at a low price for reasonable postage - who can argue? Thank you Tayna!